We've made it and we are smack dab in the middle of summer! We’re still not super excited about this crazy heat wave, but those of us in the shop can't complain too much since we have air conditioning. Except for that one time earlier this month, but we won’t talk about old stuff. We salute all of our amazing mixers for putting up with this heat and still putting out great work, you guys are the real MVP's. Aside for our normal debauchery we did have a few special visitors make their way to the shop this month. Jerry from Sennheiser stopped in to see our shop live and in person. We didn’t even charge him a nickel for the tour because he brought the SK9000, SKM9000, and EK6042 Slot Receiver for us to demo. We love our vendors and it was a pleasure to hang out without the chaos of NAB. Also made sure to bug him about getting on the pre order list for the awesome HandMic digital that will be coming out soon. We borrowed it at NAB for a few hours and and we were very sad we had to return it before we left. Eric from DPA also stopped by with goodies. It’s been a little while since we’ve been able to hang out so it was really nice to do that. Eric brought the d: Vice micro-dot interface for us to demo. Fernando posted a video on Facebook that gives some good info about the product. Patti from Riedel also stopped by. Always a pleasure to see her and we are lucky enough to get regular visits! She brought the new Bolero system and, holy batman, is this thing cool! Comm system with no base, just an antenna, and it works off the cellular range so no need to coordinate with traditional RF. 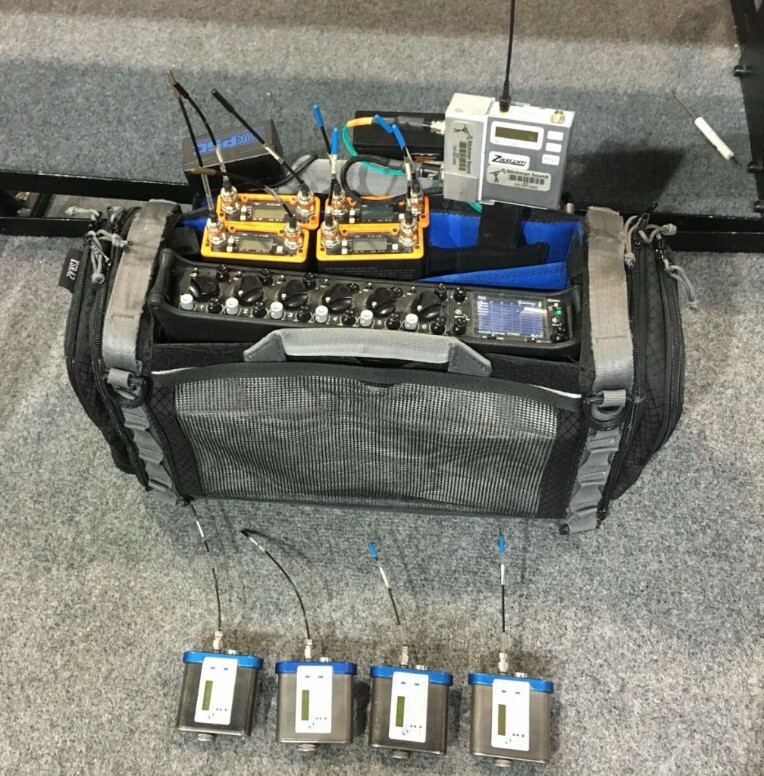 Sound Devices didn’t visit but they sent us an MD-4 to demo and test out. The guys have it set up in the back and keep getting sidetracked as they go to play with it. At least they are having fun! We love gear. We love all sorts of gear. We love big gear and small gear. Gear that makes our life easier and gear that can give us a headache to make everything sound better. The more gear the better. For more pics and details about all the awesome gear please visit Stickman’s Instagram page.